I came from a small village in Guyana, South America and was brought to South Minneapolis at a very young age. My loving mom brought me and my siblings in search of a better education and opportunities for us. I’ve always had a huge passion for learning. From very early on, I’ve been on a search for more information either through books, people, and of course the holy grail of them all, the magical interconnected tubes we call the internet. Since I first witnessed a hard drive being replaced by a family friend, I knew whatever goes on inside the dusty box was going to be something that’d go on to become a major part of my life and the world that operates around us. Shortly after high school, I attended Dunwoody College of Technology and received an Applied Associate of Science in Computer Networking which strongly enhanced my passion and skills for a life-long career in Technology. I worked for a few other corporations on the support side and left the industry for a short break to experience the world around us and to look for more exciting opportunities. This eventually led me to ArcStone. 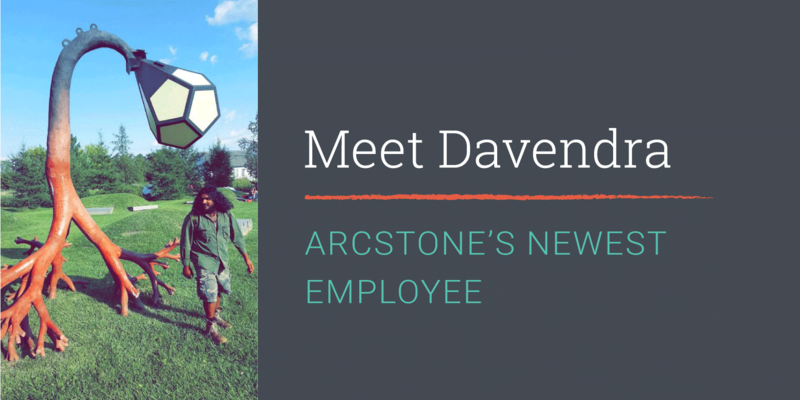 Since setting foot inside the office, I’ve felt a warm feeling from the ArcStone atmosphere. I’m very excited to be a part of the team here and showcase the many hats I’ve spent a lot of my personal time wearing. My main goals are to be able to provide a wide range of knowledgeable information and assist customers with in-depth support. Specifically, I want to help with the quickly growing number of clients with the Associations Management Online software product ArcStone founded.